If you have a Samsung aircon Singapore and looking for quality aircon servicing or repair, we are able to help. As one of the leading Samsung aircon servicing specialist in Singapore, we understand the importance of the air-conditioner to local households in Singapore. With the rising temperature in Singapore, you should engage aircon professionals for regular servicing and maintenance to maintain the condition of your units. Samsung is a famous company that manufactures various popular products in a wide range of sectors such as smart phone, household appliances such as TV, washing machine and of course, Samsung air-conditioner. Using latest technologies, their air-conditioners are both energy efficient and quiet. Furthermore, with the increase in demands of aesthetics furniture or appliances, the Samsung air-conditioning system is designed to suit modern interiors to attract buyers. Hence, you can see that many newly designed offices or house in Singapore have installed Samsung air-conditioner to match the overall ambience and aesthetic. Therefore, this makes them one of the popular air-conditioning brand for residential or commercial premises. If you are currently using Samsung air-conditioner, you should have been amazed by its cooling efficiency and noise level of the units. Furthermore, these units are manufactured to withstand harsh weather and extensive usage for home or office. Despite Samsung air-conditioner are built to withstand and last in harsh condition, it is still required to have servicing to upkeep the operating efficiency of your system. During the process of our servicing, we will send our technicians to your doorstep and they will clean and service different parts and components in your air-conditioning system. Other than that, checks will be carried out to detect potential problems in your system and ensure that all electrical components and parts are in good working condition. If there are any aircon problems detected during the checks, we will get it rectified immediately. By having routine checks during servicing will ensure potential aircon problems are rectified before the worsening of the problems which can save you time, effort and money. Have you faced aircon problems such as aircon blowing warm air, aircon leaking, abnormal noises, strange odour smell, aircon switch on and off automatically or any other problems in your Samsung unit? Do not fret as with our qualified and trained Samsung aircon repair technicians in Singapore, we are able to detect the cause of the problems and propose solutions to fix the issues. We have teams of experienced and knowledgeable technicians where they specialise in different types and brands, including Samsung air-conditioner. We often conduct trainings for our technicians so that they are able to constantly keep up and improve their service quality. Thus, you can be rest assured that our repair and servicing jobs for your Samsung units will be carried out professionally. Another essential aircon services will be chemical wash. It is one of the most effective aircon cleaning services in Singapore. Over time, when your air-conditioning system is being operated, there will be dirt and dust accumulated in your air-conditioner. Sometimes, depending on the condition of your units, there may be bacteria or even mold around your Samsung units. Hence, in this case, Samsung aircon chemical cleaning is able to thoroughly wash and flush out all the dirt, dust, bacteria and mold in the air-conditioning system. This will ensure that your air-conditioner is thoroughly washed which will regain the cooling efficiency of your system as before. Aircon chemical wash is also suitable when general aircon servicing could not improve the condition of your air-conditioning system. Chemical cleaning of Samsung aircon has many benefits such as cleaner and healthier air, improve energy and cooling efficiency, stronger airflow and reduce possibility of system breakdowns. With an improved energy efficiency, it will reduce the amount of power consumption of your air-conditioning system and in the long run, you will be able to save on your energy bills. Furthermore, by engaging professionals for chemical washing and maintenance, it will keep your air-conditioning system in good working condition which will extend the lifespan of your air-conditioner. It is crucial to regularly maintain your air-conditioning system. Regular Samsung aircon maintenance can help to ensure that your system is in good working condition and improve on its efficiency. If you have a Samsung aircon in Singapore, make sure that it is being serviced regularly. Regular aircon maintenance has many benefits such as improve air quality, airflow, operating efficiency and cooling efficiency. Other than that, having proper maintenance services by professionals is able to reduce breakdown issues which will reduce repair jobs the system. In the long run, it will be able to benefit your Samsung air-conditioning system and also your wallet. In addition, by engaging our maintenance services, our qualified technicians will perform thorough checks on your air-conditioning units during the maintenance. This is an essential step as it will allow our technicians to detect potential aircon issues in your Samsung air-conditioning system. When there are any issues detected, our technicians will be able to repair and fix the problems before it worsen. Hence, this will help you to keep your air-conditioner in good working condition and save on the repair cost. It is crucial to engage a professional and certified aircon installation company to install your air-conditioning system. A poorly installed air-conditioning units will result in several air-conditioner problems such as leakage, aircon not working and other problems. Hence, if you are looking for Samsung aircon installation in Singapore, you can look for us. 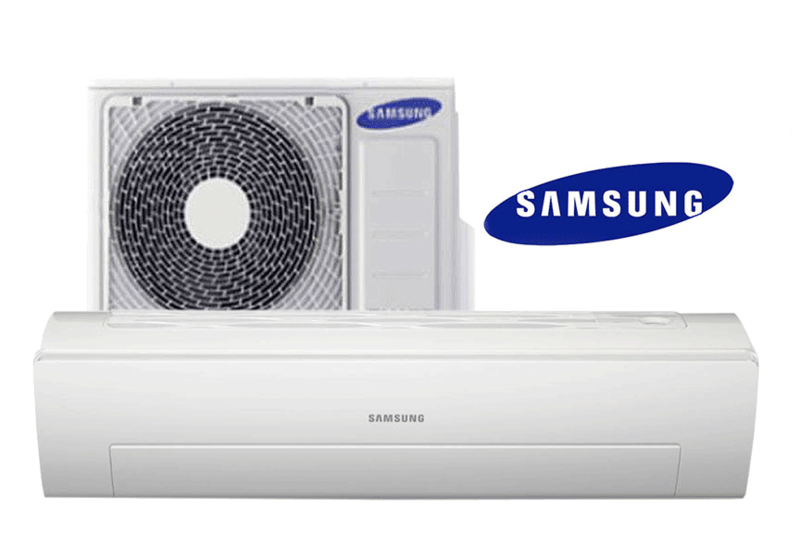 Other than providing aircon servicing Singapore, maintenance, repair, chemical wash, maintenance and installation for Samsung units, we also provide Samsung aircon replacement services. We are experienced in various types of air-conditioner such as a Samsung split system, wall mounted, ceiling cassette, ceiling suspended and many more. We have certified aircon installer that is equipped with tools, equipment and knowledge in installing your air-conditioning system. At Wei Wei Aircon, we provide quality aircon servicing and repair services for different types and brands of air-conditioner, including Samsung. By engaging our servicing, our professional and qualified technicians will service and clean your air-conditioning units and ensure that they are in good working condition. To find out more about our aircon maintenance, repair, chemical wash and installation services, feel free to contact us today.